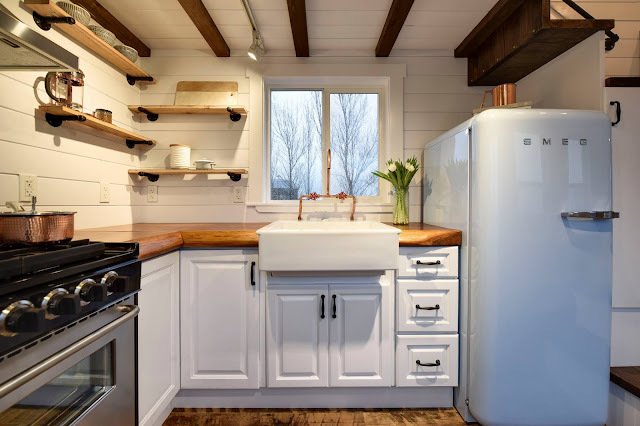 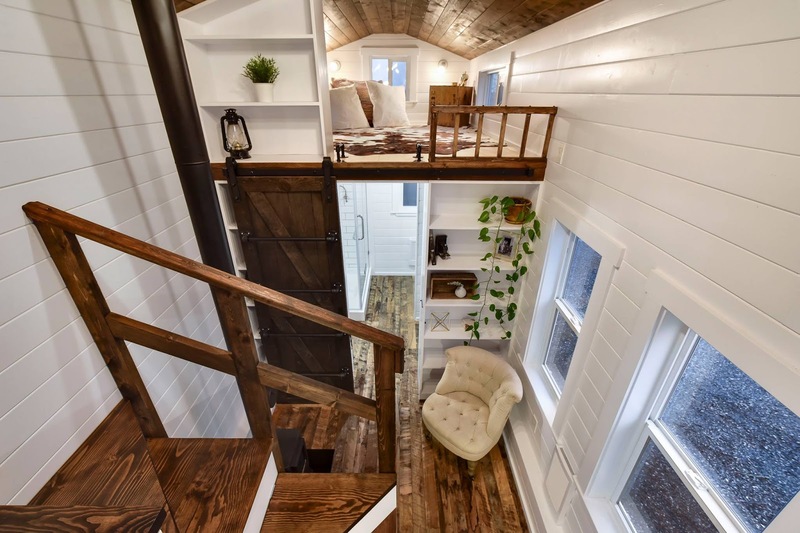 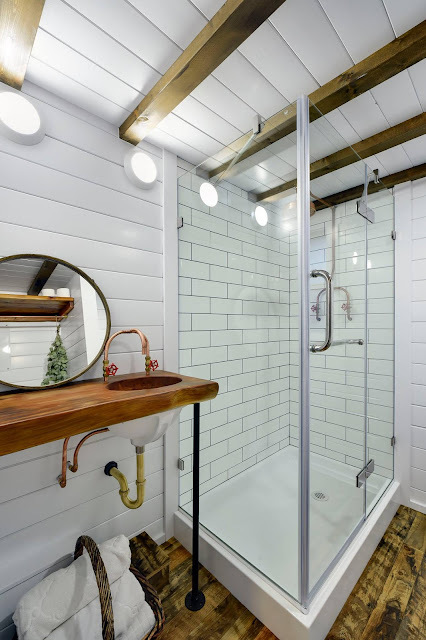 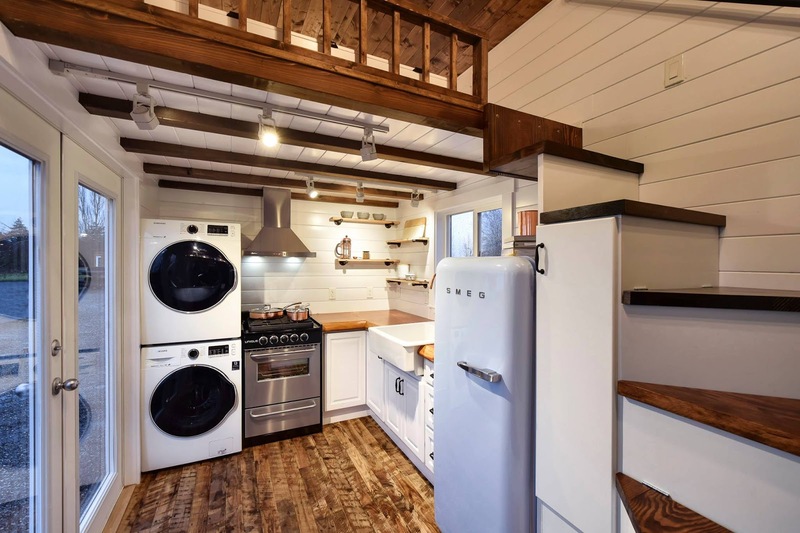 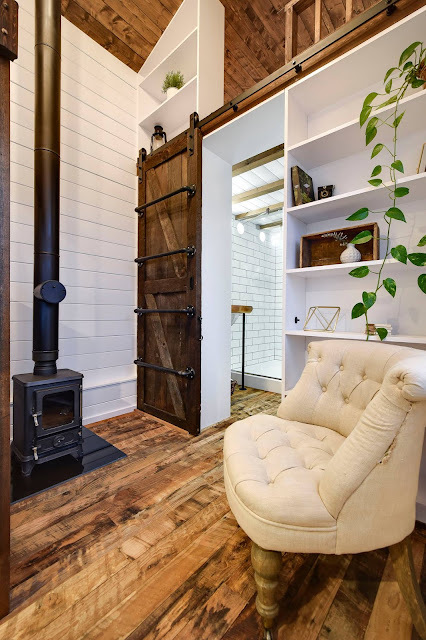 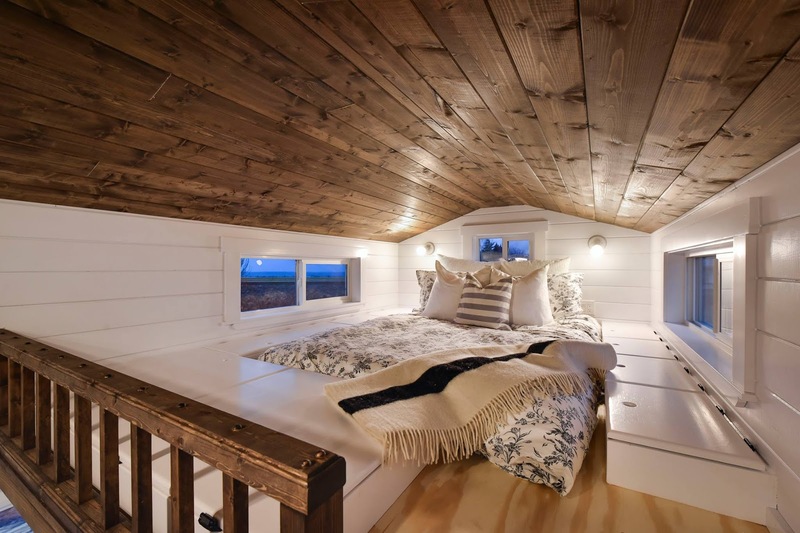 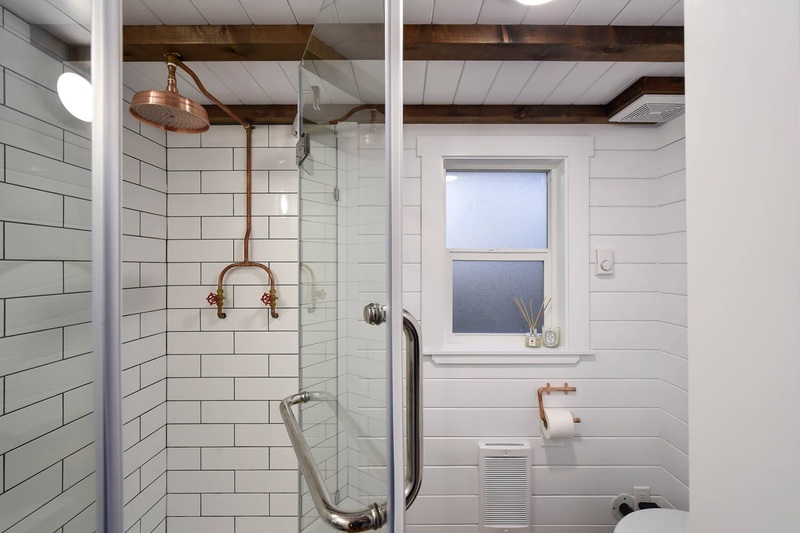 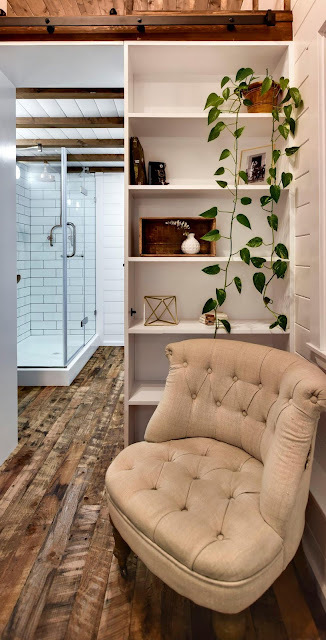 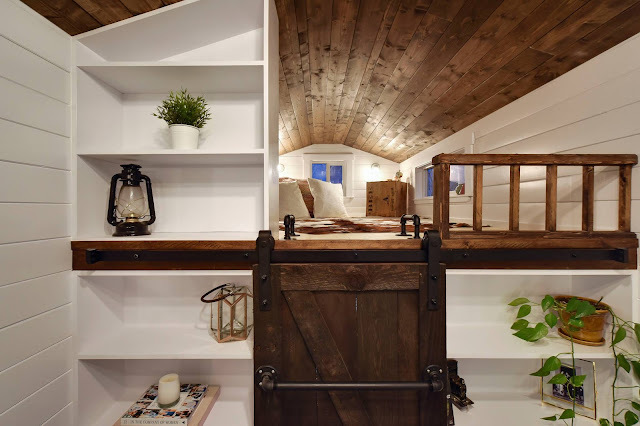 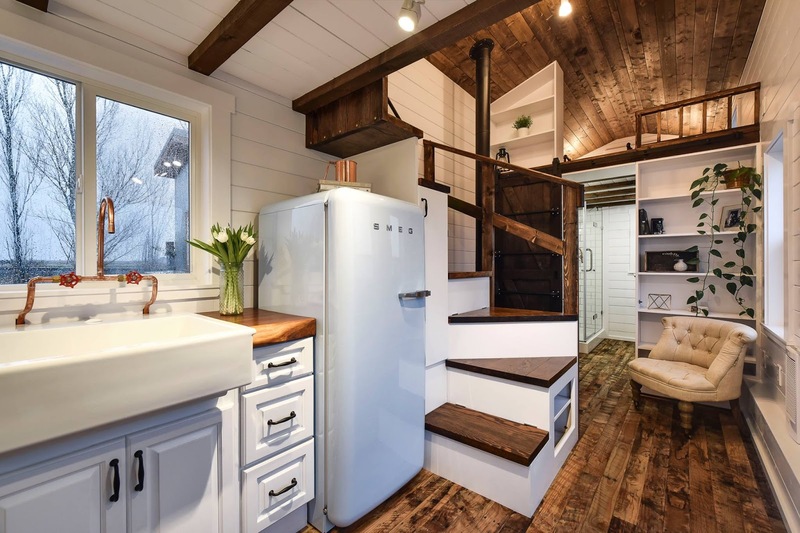 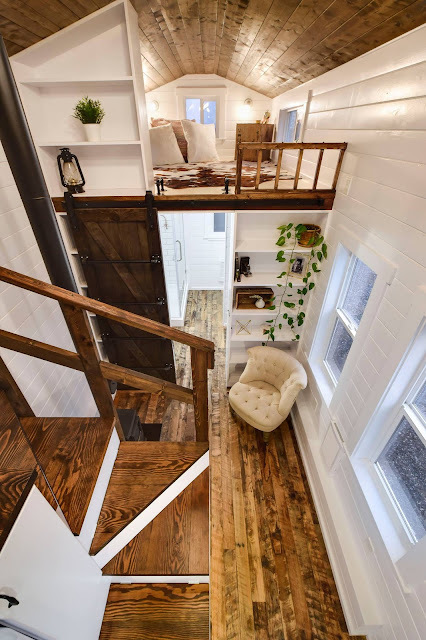 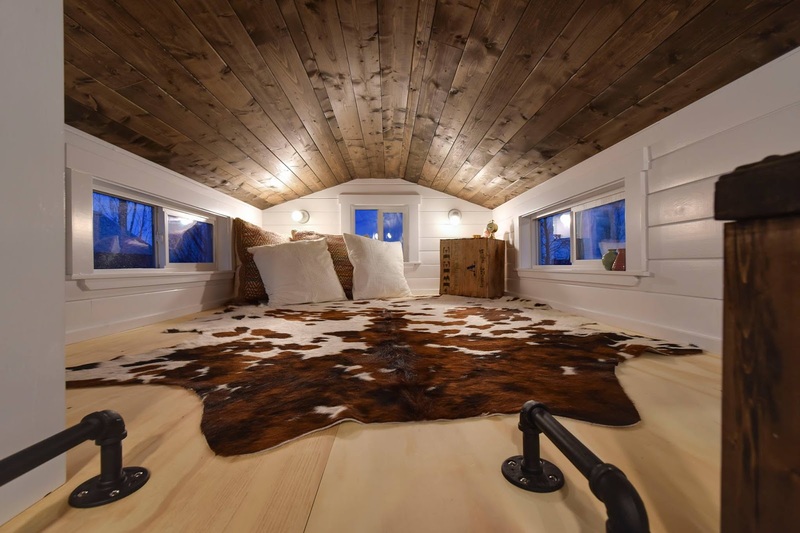 This stunning rustic home from Mint Tiny House Company looks as cozy as it does beautiful! 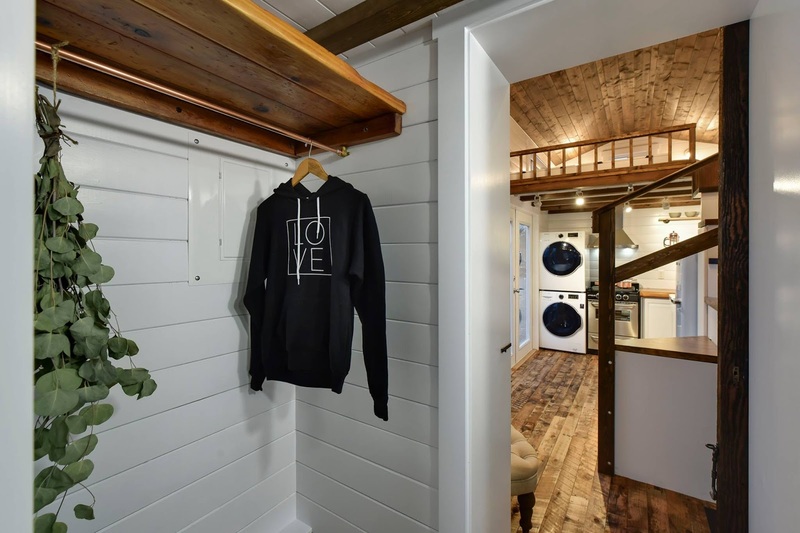 The home measures 24 ft long and has a beautiful interior with white ship lap walls, and dark stained floors, ceiling, and accents. There's a full kitchen with a cute retro-style fridge, a living room with shelf space, a bathroom, and two loft spaces. 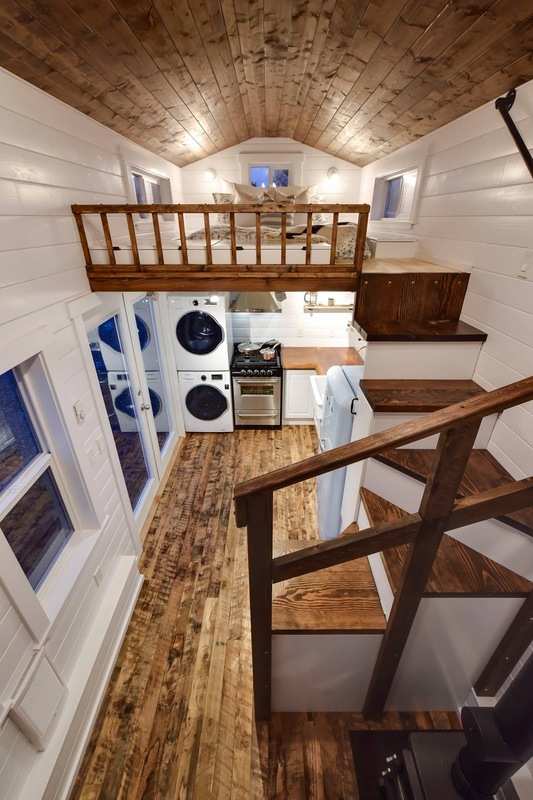 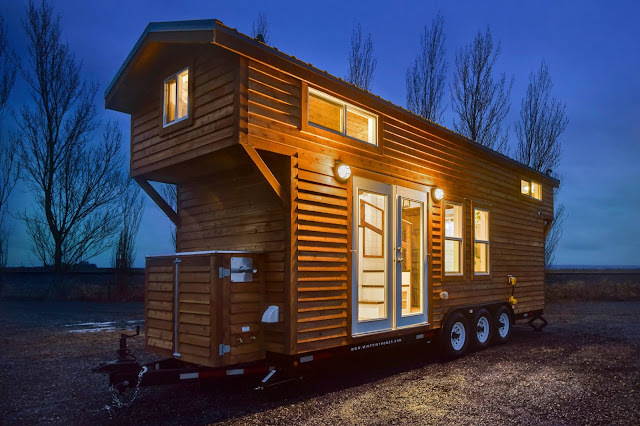 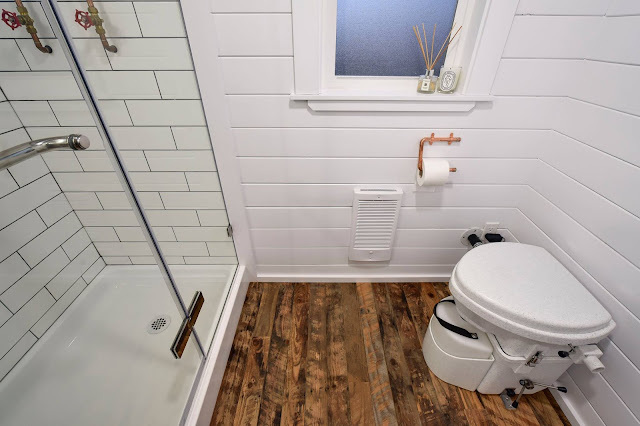 Be sure to check out more tiny houses from Mint here!